We provide professional chiropractic services for babies and children in Newcastle. We value the importance of a healthy well aligned spine during all stages of life. Our team understands that decisions about your family’s health care are an extremely important and personal choice. At all times, we take your questions, concerns, and peace of mind very seriously. Just as each member of your family is unique through personality, so too is their spine and nervous system. At Family Life Chiropractic, we treat your family members as individuals. We do not believe in a “one size fits all” approach. With over 14 years of experience assessing and providing care for spines of all ages, your family is in trusted hands. Whether you’re in search of a chiropractor for your baby or your child, the care you receive with us will be appropriate for the child’s stage of development. Every step of your child’s chiropractic visit will be explained to you beforehand. When musculoskeletal complaints present, we use gentle stretches, movements and exercises to facilitate natural movements. 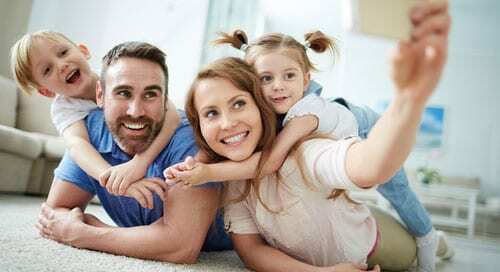 Our number one priority with your family is safety. Chiropractic for kids can be as simple as providing fun exercises and stretching activities to help support normal growth and development in a child. Todays modern family is experiencing the impacts of technology on their children’s growth and development. As spine health experts, we strongly encourage you to understand your children’s posture. 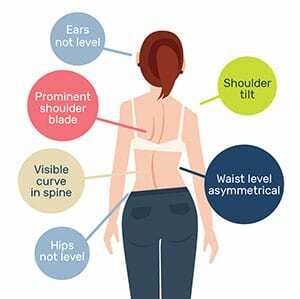 Learn what’s normal and be aware of any posture changes or curve development. As a Newcastle Chiropractor, it is becoming increasingly apparent the rise in musculoskeletal conditions in children and adolescents. Children may present with symptoms such as headaches, neck pain and back pain. Just like our children brush their teeth, stretching their spine regularly can be a great way to promote a healthy spine and bring awareness. The image on the right indicates likely postural issue. To support our families, we provide a comfortable, child friendly environment. There are plenty of activities to keep your children entertained. For your convenience we also provide a dedicated baby feeding and changing room. Our chiropractors are always mindful and endeavor to run to time as we know how busy life can be. Ample convenient parking is available, with easy pram access.